It is any homeowner’s dream to have a robotic vacuum perform all floor vacuuming tasks for them. However, for a very long time, this has only been just a dream, especially since most of the robotic vacuum models were very costly. 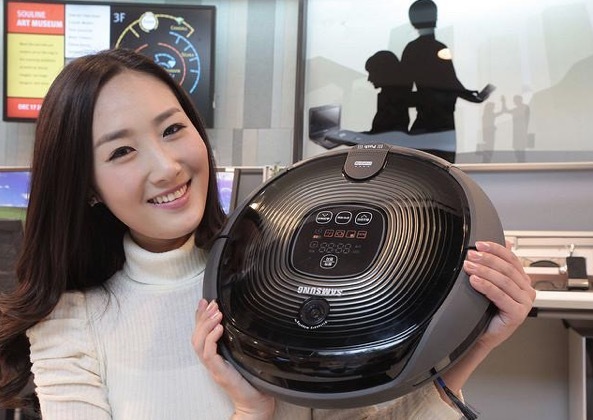 With more focus on the low-budget clients, some manufacturers have found a way to make the robotic vacuum ownership fantasy to come true. Right now, a homeowner can get a robotic vacuum cleaner with quite similar features to the high-end models at prices of up to $800 cheaper. The question is, how do you choose the best budget robot vacuum cleaner and not regret later? Here comes the guide that will help you make the right decision when purchasing your dream robotic vacuum cleaner. What are your cleaning needs? Floor vacuuming needs usually differ from one homeowner to another. Some want basic vacuuming that is performed frequently while some love their floors thoroughly cleaned occasionally. No matter what cleaning needs you have, a budget robotic vacuum can cater for them. Your specific cleaning needs will help you determine the type of vacuum cleaner you want in terms of design, cleaning modes available, battery power, size and capacity. For instance, if you prefer a more thorough clean, then a robotic vacuum cleaner with dry/wet mopping functionalities such as the iLIFE V7s will be your best bet. If you prefer better customizability, then a robotic vacuum with a variety of cleaning modes and multiple control options will be suitable for you. If you want convenience in terms of having your floors vacuumed even when you are away from home, consider robot vacuums with scheduling capabilities that suit your conditions. Pets are the best companion most homeowners have, but they are also the worst when it comes to making your living environment dirty. If you live with your furry friend, then consider finding a robotic vacuum that is pet friendly. For instance, its motor should not be noisy; preferably not more than 60dB noise production, to avoid disturbing or scaring the pets during vacuuming. To get rid of any fur they shed, it is advisable to get a budget vacuum with powerful suction. This ensures that even the tiniest hair particles and other dirt and debris is sucked up by the robotic vacuum. Depending on how big your house is, you can be able to make a choice regarding the battery power, dirt cup capacity and navigation capabilities. If you want to clean a larger area, then it is apparent that your robotic vacuum has a great battery life. Try to have a balance between the running time and the charge time. You should also consider models with the self-charging feature that enables them to return to their charging dock automatically for a recharge once a low battery is detected. This will not only save you so much time, but also so much effort as such vacuums will require very little human intervention. The dirt cup capacity should also be symbolic of the size of the house. Larger spaces call for larger dirt cups that won’t require frequent emptying in between vacuuming schedules. Bigger spaces also require vacuum cleaners with better navigation options to be able to move from one room to another quickly and safely. What is the nature of your floors? Are your floors carpeted of bare? If your floors are bare such as hardwood floors, then finding a budget vacuum should not be a problem. However, for carpeted floors, you should ensure that the robotic vacuum cleaner you choose has higher suction power that can easily get rid of dirt from the carpet fibers without damaging them. According to the article I’ve found on site RobotBox, the best model for carpet is Roomba 980 because it has special mode “Carpet Boost”, but it’s not budget model. On the other hand, if your floors are a combination of carpets and bare floors, then finding an all-surface robotic vacuum is the genius thing to do. If there are lots of edges and obstacles such as stairs and walls/furniture respectively, then you must look for a robotic vacuum with great navigation capabilities to avoid bumping onto obstacles and falling off edges, which can lead to undeserved damages. Budget vacuums range from as low as $80 to around $300 and these prices are just but a disguise of what these tiny appliances have to offer. It is usually advisable to choose the best robotic vacuum cleaner within your budget. Even with a low budget, with patience and proper research, you will be able to enjoy impressive accessories and functionalities aimed at keeping your floors flawless and your mind at peace. In this era that is filled with daily hustles and bustles, a quality robotic vacuum cleaner is a must-have for any household. Starting with the convenience offered by these gadgets to how much of your time they save, it is obvious that more and more homeowners are saving to invest in robotic vacuums. While most people may have been misled into believing that only expensive robotic vacuums can deliver to their expectations, when equipped with this guide, finding a budget vacuum that surpasses their anticipations is a breeze. However, no matter how cheap or expensive the robotic vacuum seems, always look at user reviews to see if it is long lasting, if it has a warranty and if its parts are replaceable or repairable before you finally purchase it. This will surely save you from a lifetime of regrets. Wow! With these robotic vacuum cleaners , it will be much easier to get our house cleaned. Pretty useful appliances. Amazing! With these robotic vacuum cleaners, it will be much easier to get our house cleaned. Pretty useful appliances.